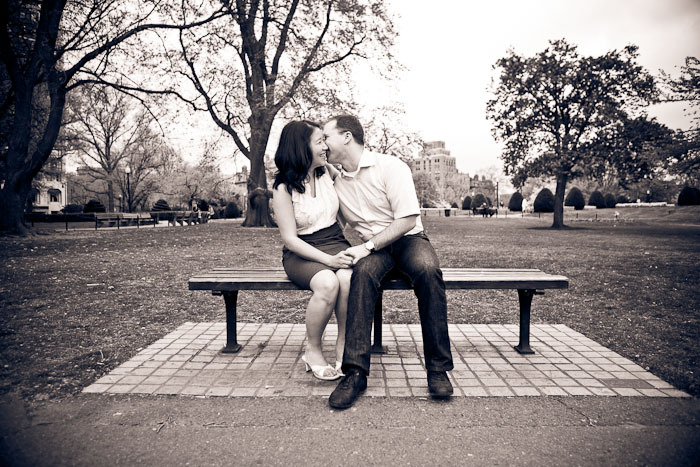 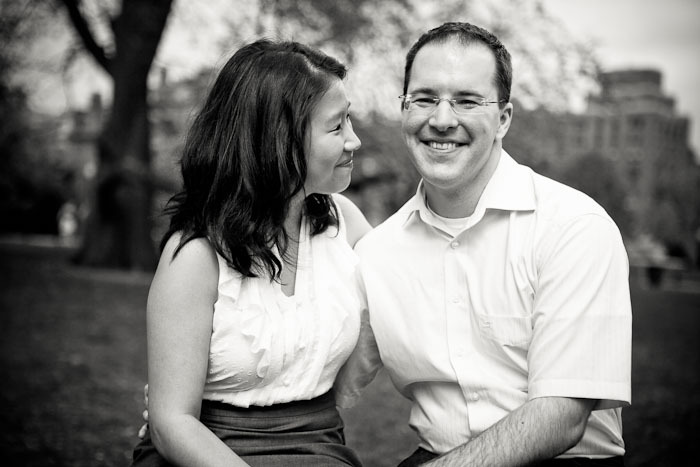 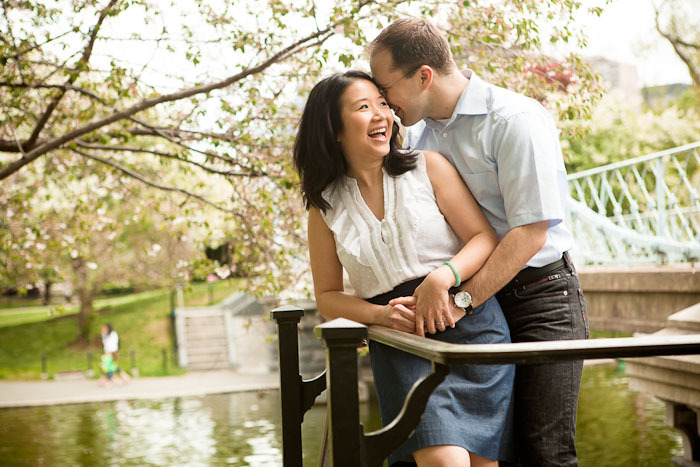 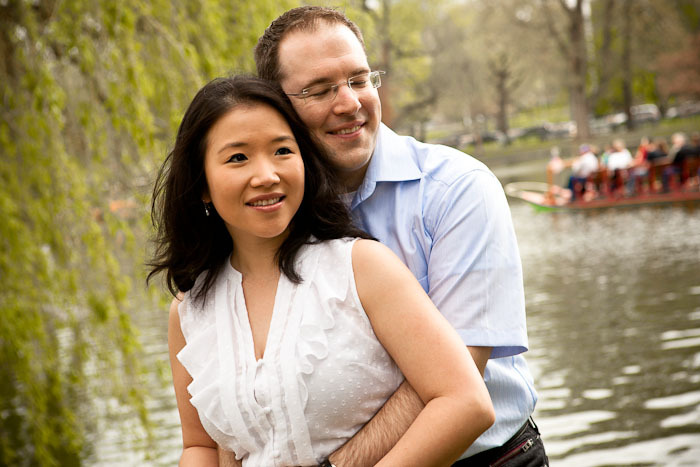 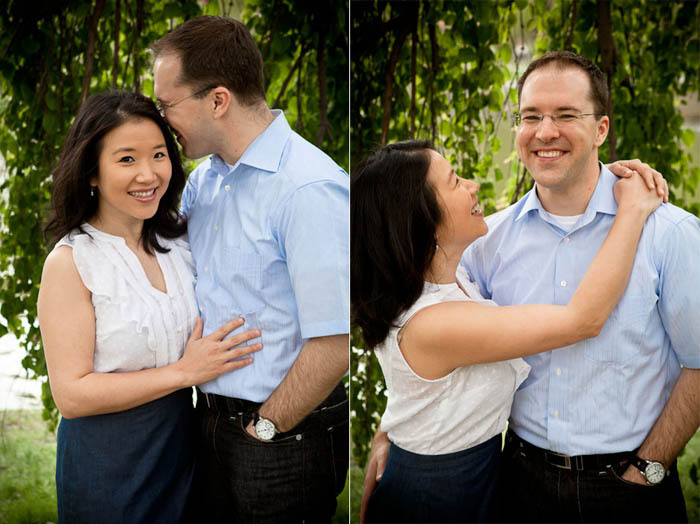 I met up with Mina and Tobi in late April at the fantastic Boston Gardens for their engagement photo session. 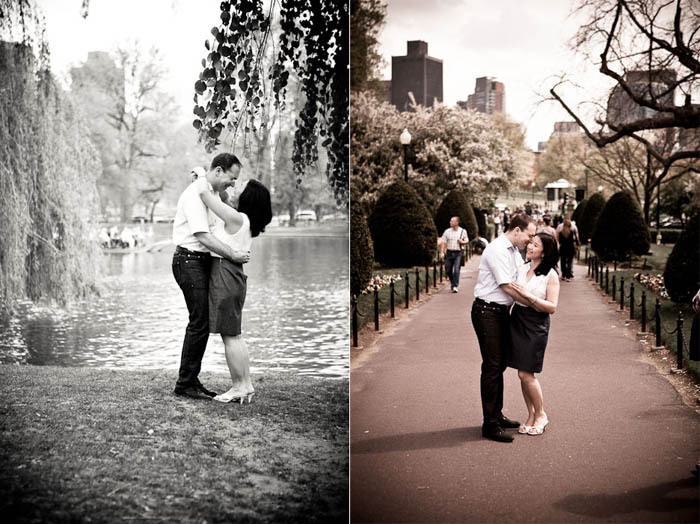 The Boston Gardens are a wonderful place for photos, and I think we visited about every possible photo-worthy location within the gardens that day. 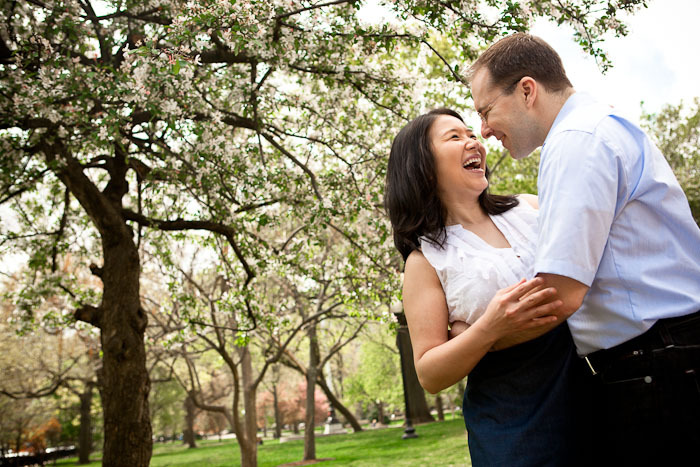 There were just too many great spots not to pass up - especially when working with the incredibly romantic and into-each-other Mina and Tobi. 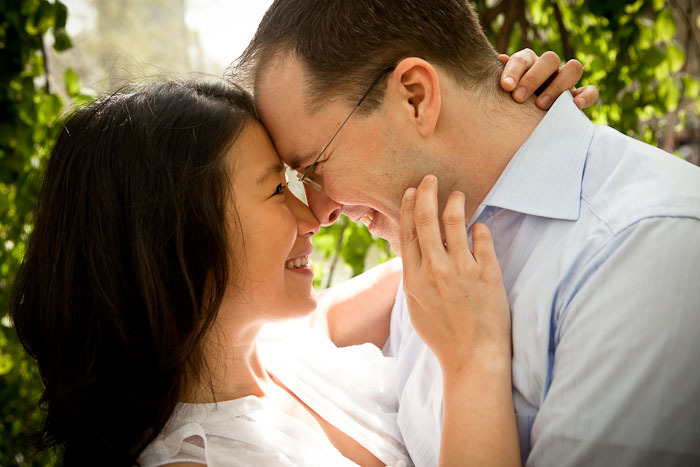 I barely had to give them any direction because they were naturals when it came to interacting with each other in the ways that give engagement photos that sentimental and lovely feel. 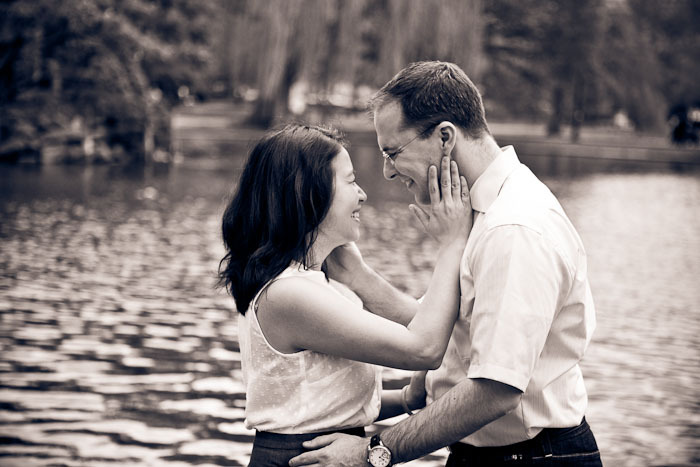 I must say I am very much looking forward to photographing them again at their August wedding this summer just outside of Boston!